Just beat the Soul Tyrant. Bloody pain that was. Think I only managed it at the end because I had the thorn perk. I had 1 hit left. Got the 2400 dream things the fly lady wanted. Also took the flower to where it had to go. That was tense. Think I've now got max health. 4 giant Content Packs, built in at launch, expanding the game with all new quests, terrifying boss fights and striking new abilities. 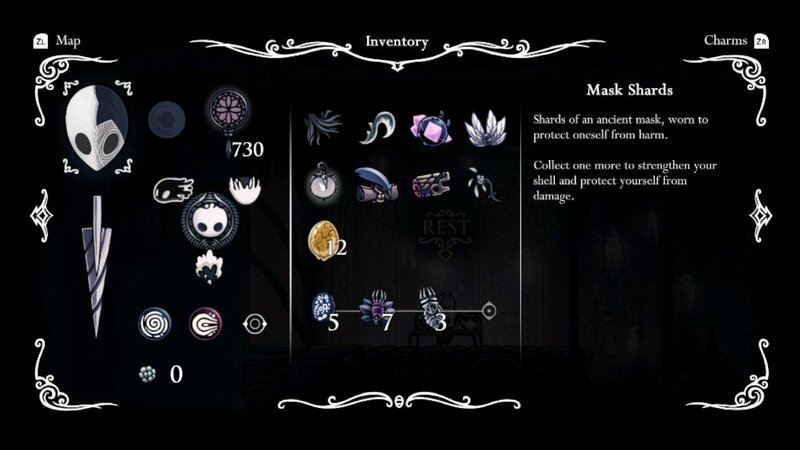 Hours of additional content, additional challenges and additional bugs (the insect kind!). 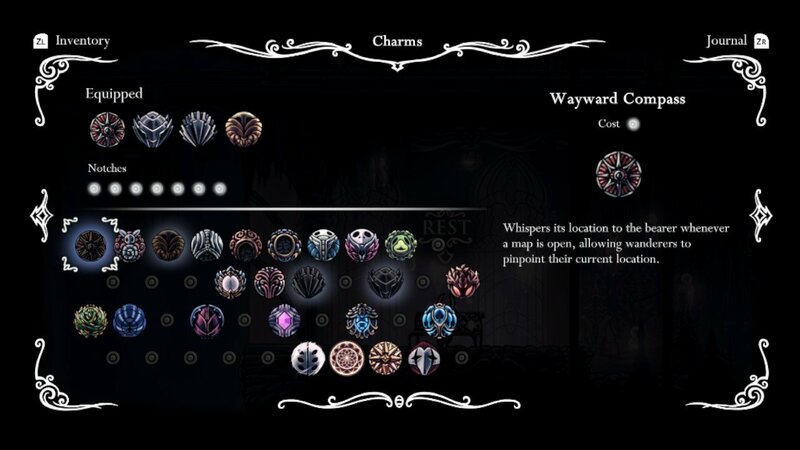 That’s Hidden Dreams, The Grimm Troupe, Lifeblood and the colossal Godmaster. Dear watcher knights, go strawberry float yourselves, love Ad7. I went and beat the soul master instead and can finally ground pound. I think I'm in need of a bit of direction. 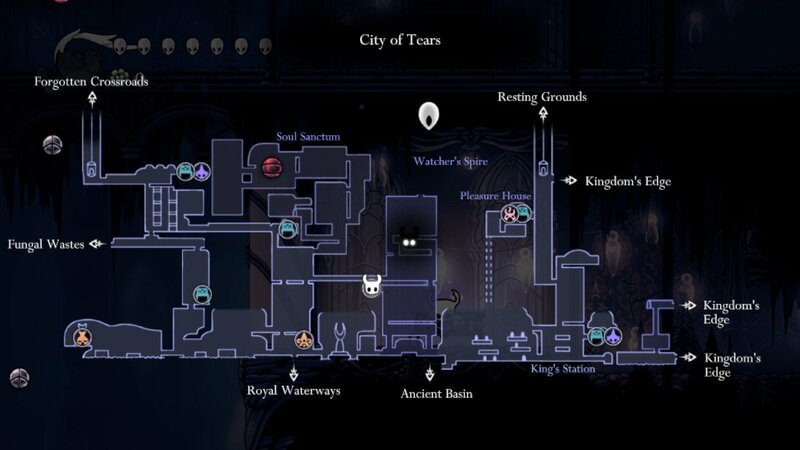 I've got the spider spirit thing from the beast lair in the far left of the map, but I can't seem to find my way to the other two as I don't have a way of getting past The black foggy spout things yet. You can see where I died on the banana split multi boss and that appears to be my only way up to the next one. Getting pretty tired of traversing the entire map to what looks like an unexplored but and finding one of those walls there. That upgrade you mention not having you don't actually need to complete your current objectives I don't think, but it does help. Thanks OR, now I've got the quick nail, which I then used to thank the watched knights . One watcher left to get, but I can't for the life of me figure out how to get to it. Maybe there's an ability from a boss I've missed. I think I need to be able to swim in acid as it seems to be the only real route to where I need to go. You're also right about being able to swim in acid, the area that power is located is sort of intuitive but if you want to know it's in the sewers. Thank you, now I've got all 3 dreamers. In my defence, playing handheld makes the map a bugger to scour for missed doors etc. I've now 'finished' this. Ended on 30 hours and 65% completion. Mostly enjoyed it but I've had enough for now, might come back another time to mop up and do some DLC but I'm ready to move on to other games. You got the first ending I assume, where you just killed Hollow Knight. I'd say it's worth playing through to the true ending, but fair play! Bought this game last Friday, it's pretty good isn't it? Based on the trailers I watched I wasn't fussed on the art style but I quickly fell in love with it while playing the game, particularly the little grubs and the stag. The game is very atmospheric and I'm enjoying piecing little things together about the history of the world. Currently on the Watcher Knights boss fight, only had a few tries earlier and it's a tough fight but confident I can beat them with a bit of practice. I'm currently at 30 hours got a feeling like I could complete it now but like there is also more I could get etc... I think it's a wonderful game , Id go so far to say it's the game I've enjoyed on my switch the most. And I've completed it. 77% completion at a little over 24 hours. What a fantastic game. I'm still not done with this yet though, I'm pretty sure there's loads left for me to do. I didn't even get the ability to get through those black fog gates. Bit unsure where to go with this now. I managed to get the shade cloak so I've explored all the areas I couldn't get to before (the ones I remember anyway). Looking at the map I can't see any obviously unexplored areas. Anyone got any hints that aren't too spoilery? The only place I've heard of but never visited is White Palace but I've no idea where it is. EDIT: there's also a beehive area I've only been in one room of (connected to Kingdom's Edge) but I can't figure out how to get to the rest of it. 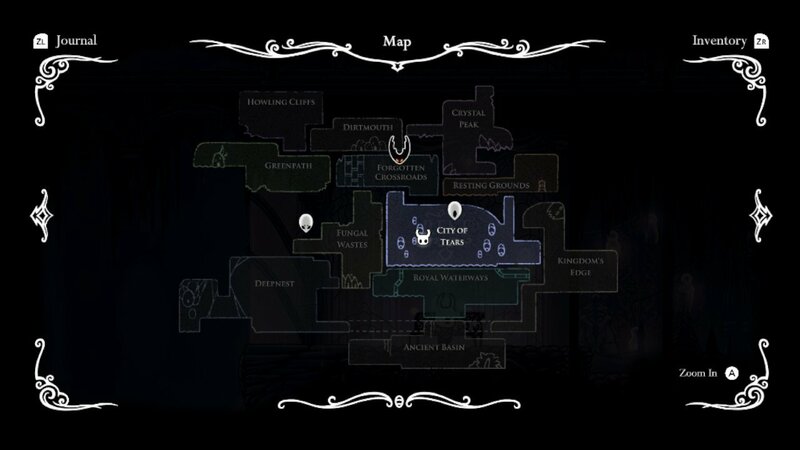 sawyerpip wrote: EDIT: there's also a beehive area I've only been in one room of (connected to Kingdom's Edge) but I can't figure out how to get to the rest of it. That's great, thanks! I swear I've looked for entrances from those rooms already but I guess I wasn't thorough enough.